The programme, endorsed by the TANIDA-NVSB steering committee in conjunction with theAsian Nano Forum (ANF) 2018, in Taipei, Taiwan, allows applicants to enjoy expedited verification processes thanks to integrated test lab facilities. In addition, the synergistic co-operation is focused on developing strategic campaigns to encourage ‘nano-technopreneurs’ and businesses to certify their products in order to differentiate themselves in an increasingly crowded market space. In collaboration with SIRIM QAS International, NVSB operates the NANOVerify Programme, a voluntary certification programme for processes and products with claims of nano-elements and nano-enhancements. Meanwhile, TANIDA oversees the operations of Taiwan’s NanoMark, for similar verification and recognition. There are currently 34 certified nanotechnology products in Malaysia, ranging from cosmetics and cleaning solutions to home appliances and fertilizers, with growing interest from industry players. Big agreements sometimes start in very small packages. In the case of a new partnership between Israel’s Bar-Ilan University and the United Nations, that package is nano-sized. Cornell University professor Richard Robinson says Jewish State is ‘ahead of the curve’ when it comes to nanotechnology. One day soon, a start-up somewhere – possibly in Israel – will come up with a system to manufacture precisely-formed nanoparticles that, when joined with other particles, will change the way electronics, clothing, computers and almost everything else can be used. One day, but not yet, according to Richard Robinson, a visiting scholar at Hebrew University’s Institute of Chemistry. Based at Cornell University, Robinson is in Israel to do research in the area of nanotechnology, where scientists manipulate very tiny atomic particles to create surprising and unique effects that are far different than anything observed in physics until now. In fact, one of the first commercially successful nano-based products to emerge came from the very Hebrew University lab where Robinson is doing research. Using unique quantum materials, Qlight developed semiconductor nanocrystals that can emit and provide extra brilliance to light, such as enhancing the color of display screens. There will likely be many more such announcements and pronouncements in the future, and many of them are set to be based on technology developed in Israel, said Robinson. “Israel is ahead of the curve on nanotechnology research,” said Robinson. And there’s plenty more research that needs to be done. “Over the past 20 years or so we have essentially been rewriting the textbooks on physics, because the laws that apply to ‘normal’ particles do not apply to nano-sized particles,” he added. In other words, certain things happen when five nanometer-sized particles are combined with six nanometer-sized particles. “We’re still observing, categorizing and recording the reactions of these particles sizes with each other and others, in different kinds of materials, and their combinations,” said Robinson. At home in Cornell, Robinson does a lot of work in materials, controlling their size, shape, composition and surfaces, and assembling the resulting building blocks into functional architectures. Among the applications Robinson’s lab is targeting are new materials for printable electronics and electrocatalysis. His group is also pioneering a new method to probe phonon transport in nanostructures. On practical example of how nanotech will affect energy is to allow for a much more efficient production method for solar energy. In a solar energy system, the sun’s rays hit photovaltic cells that capture the energy and convert it into direct current (DC) electricity, which is then converted to alternating current (AC), for use in home electric systems or for transfer to the grid. But it turns out that the PV cells being used don’t capture as much of the sun’s rays as they can because of fluctuations in the wavelength of the rays due to time of day or time of year; only about 25% of the rays are captured on average. PV cells are designed to capture the sun at its strongest in midday, but they can’t capture rays at other times of the day. Using nanomaterials that respond to specific wavelengths PV technology can be much more efficient, tripling the usable “bounty” from the sun, said Robinson. Eventually, said Robinson, nanotech will live up to the hype that has surrounded it for the past two decades. 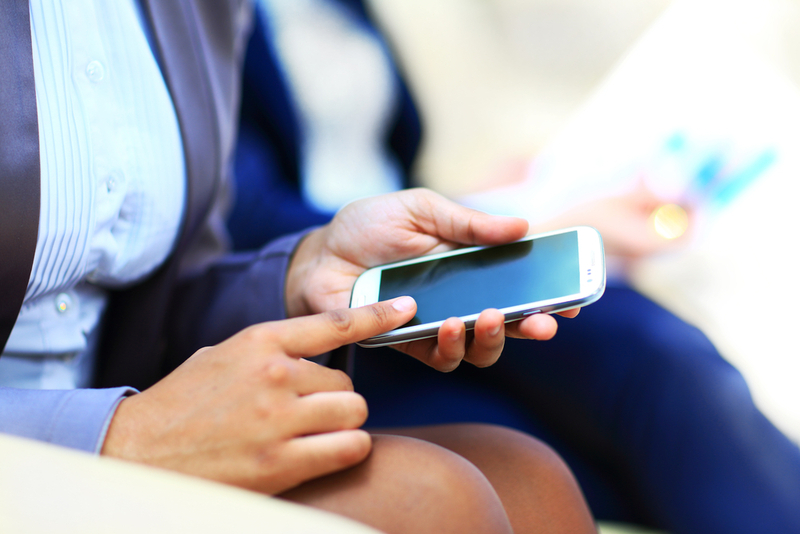 Today’s smartphones are well-equipped to satiate our appetites for instant gratification. We stream live video, look up facts on a whim, receive breaking news alerts and stay connected to our friends via social media. But one thing has lagged behind this culture of immediacy: smart phones’ batteries. Now, it looks like recharging our phones could finally keep pace with the demands of our fast-moving culture. Yesterday an Israeli company called StoreDot unveiled a new smartphone battery that fully recharges in just 30 seconds. In contrast the couple hours it takes for a typical smartphone to fully charge, seems hopelessly outdated. The battery manages such a speedy charge by utilizing quantum dot technology. Quantum dots are tiny bio-organic nanocrystals made of semiconducting materials. The battery is just a prototype at this point, and it’s still big and clunky — about the size of a laptop charger. However, the company plans to scale down its size and begin mass production of the device in 2016, the Wall Street Journal reports. World Economic Forum: Can Graphene Make the World’s Water Clean? In the 2015 World Economic Forum’s Global Risks Report survey participants ranked Water Crises as the biggest of all risks, higher than Weapons of Mass Destruction, Interstate Conflict and the Spread of Infectious Diseases (pandemics). Our dependence on the availability of fresh water is well documented, and the United Nations World Water Development Report 2015 highlights a 40% global shortfall between forecast water demand and available supply within the next fifteen years. Agriculture accounts for much of the demand, up to 90% in most of the world’s least-developed countries, and there is a clear relationship between water availability, health, food production and the potential for civil unrest or interstate conflict. The looming crisis is not limited to water for drinking or agriculture. Heavy metals from urban pollution are finding their way into the aquatic ecosystem, as are drug residues and nitrates from fertilizer use that can result in massive algal blooms. To date, there has been little to stop this accretion of pollutants and in closed systems such as lakes these pollutants are being concentrated with unknown long term effects. 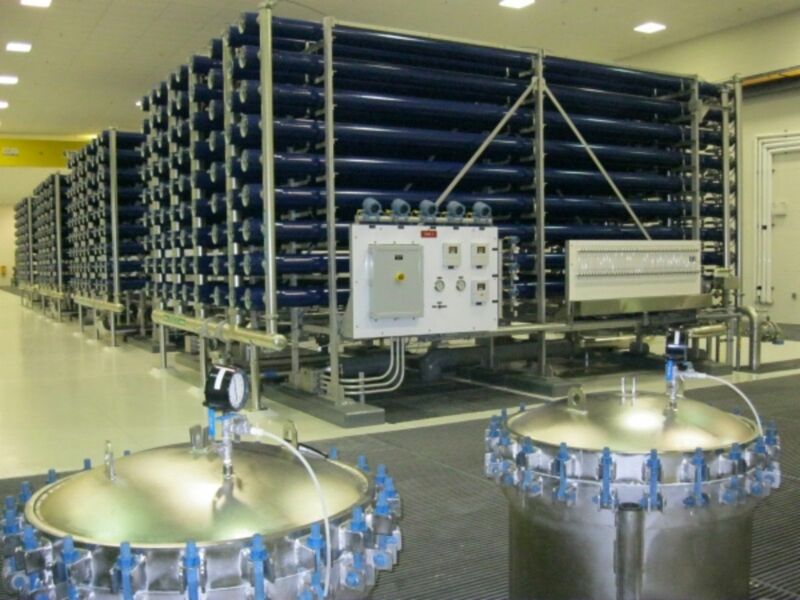 While current solutions such as reverse osmosis exist, and are widely used in the water desalination of seawater, the water they produce is expensive. This is because high pressures are required to force the waster through a membrane and maintaining this pressure requires around 2kWh for every cubic meter of water. While this is less of an issue for countries with cheap energy, it puts the technology beyond the reach of most of the world’s population. Any new solution for water issues needs to be able to demonstrate precise control over pore sizes, be highly resistant to fouling and significantly reduce energy use, a mere 10% won’t make a difference. Nanotechnology has long been seen as a potential solution. Our ability to manipulate matter on the scale of a few atoms allows scientists to work at the same scale as mot of the materials that need to be removed from water — salts, metal ions, emulsified oil droplets or nitrates. In theory then it should be a simple matter of creating a structure with the correct size nanoscale pores and building a better filter. 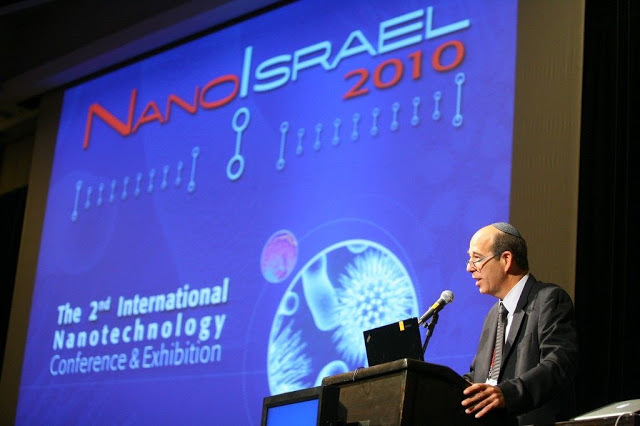 Ten years ago, following discussions with former Israeli Prime Minister Shimon Peres, I organised a conference in Amsterdam called Nanowater to look at how nanotechnology could address global water issues. While the meeting raised many interesting points, and many companies proposed potential solutions, there was little subsequent progress. Fortunately some recent developments in the ‘wonder material’ graphene may change the economics of water. One of the major challenges in the commercialisation of graphene is the ability to create large areas of defect-free material that would be suitable for displays or electronics, and this is a major research topic in Europe where the European Commission is funding graphene research to the tune of a billion euros. Simultaneously there are vast efforts inside organisations such as Samsung and IBM. While defects are not wanted for electronic applications, recent research by Nobel Prize winner Andrei Geim and Rahul Nair has indicated that in graphene oxide they result in a barrier that is highly impermeable to everything except water vapour. However, precisely controlling the pore size can be difficult. Another approach taken by researchers at MIT involves bombarding graphene sheets with beams of gallium ions to create weak spots and then etching them to create more precisely controlled pore sizes. 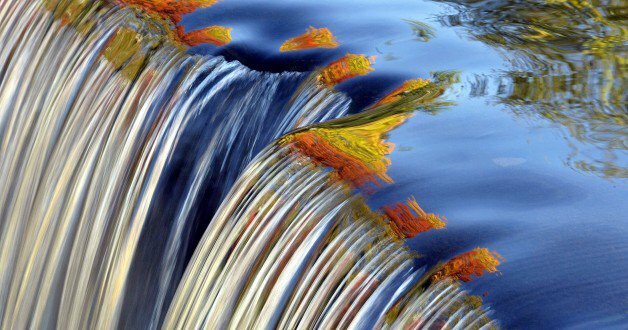 A similar approach to water transport through defects has been taken by researchers at Penn State University. While all of the above show that graphene has prospects for use as a filter medium, what about the usual limiting issue, membrane fouling? Fortunately another property of graphene is that it can be hydrophilic, it repels water, and protein absorption has been reported to have been reduced by over 70% in bioreactor tests. Many other groups are working on the use of graphene oxide and graphene nanoplatelets as an anti-fouling coating. While the graphene applications discussed so far address one or two of the issues, it seems that thin films of graphene oxide may be able to provide the whole solution. Miao Yu and his team at the University of South Carolina have fabricated membranes that deliver very high flux and do not foul. Fabrication is handled by adding a thin layer of graphene to an existing membrane, as distinct from creating a membrane out of graphene, something which is far harder to do and almost impossible to scale up. Getting a high flux is crucial to desalination applications where up to 50% of water costs are caused by pressurising water for transmission through a membrane. Performance tests reveal around 100% membrane recovery simply by surface water flushing and pure water flux rates (the amount of water that the membrane transmits) are two orders of magnitude higher than conventional membranes. This is the result of the spacing between the graphene plates that allows the passage of water molecules via nanoscale capillary action but not contaminants. Non-fouling is crucial for all applications, and especially in oil/water separation as most of what is pumped out of oil wells is water mixed with a little oil. According to G2O Water, the UK company commercialising Yu’s technology, the increased flux rates are expected to translate directly into energy savings of up to 90% for seawater desalination. Energy savings on that scale have the potential to change the economics of desalination with smaller plants powered by renewable energy and addressing community needs replacing the power hungry desalination behemoths currently under construction such as the Carlsbad Project. This opens the possibility of low-cost water in areas of the world where desalination is currently too expensive or there is insufficient demand to justify large scale infrastructure. While more work is required to build a robust and cost-effective filtration system, the new ability to align sheets of graphene so that water but nothing else is transmitted may be the simple game-changer that allows the world to finally address the growing water crisis. Author: Tim Harper is Chief Executive Officer of G2O Water. Researchers: Do (certain) Nanoparticles Threaten Heart Health? Nanoparticles, extremely tiny particles measured in billionths of a meter, are increasingly everywhere, and especially in biomedical products. Their toxicity has been researched in general terms, but now a team of Israeli scientists has for the first time found that exposure nanoparticles (NPs) of silicon dioxide (SiO2) can play a major role in the development of cardiovascular diseases when the NP cross tissue and cellular barriers and also find their way into the circulatory system. Their study is published in the December 2014 issue of Environmental Toxicology.